As an admin, you can manage learning items, users, groups, and surveys in your account or sub account. In the Global Navigation menu, the Application Switcher icon  provides access to all main feature areas in Bridge. When an application option is selected, the Global Navigation menu displays links to the corresponding feature areas. The My Learning menu option allows you to access your My Learning page which contains courses, programs, checkpoints, and live trainings you are enrolled in . The Author menu option provides access to manage learning items in your account . The Insights menu option lets you view usage statistics and user reports . The Admin menu option lets you manage users and account settings including content branding and permissions . Located in the Author menu, the Courses page allows you to create and manage courses in your account. Learn how to use the Courses page. Located in the Author menu, the Programs page allows you to create and manage programs in your account. Learn how to use the Programs page. Located in the Author menu, the Live Trainings page allows you to create and manage live trainings in your account. Learn how to use the Live Trainings page. Located in the Author menu, the Surveys page shows you all the surveys in the account or sub account. Learn how to use the Surveys page. Located in the Training menu, the Checkpoints page shows all checkpoints in your account. You can use the Checkpoints page to create, edit, and delete checkpoints in the account or subaccount. Located in the Insights menu, the Insights page displays statistics for learners in your account. You can also access several reports for your account. 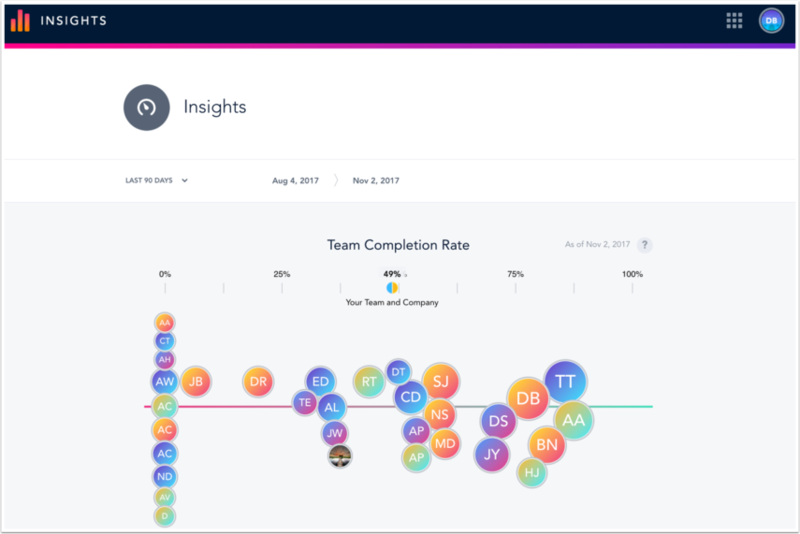 Learn how to use the Insights page. Located in the Admin menu, the Account Management menu  lets you manage account settings , custom branding , sub accounts , the content marketplace , content tags , and content categories . Learn more about how to manage settings in your account. Located in the Admin menu, the Users and Permissions menu  lets you access the Manage Users  and Manage Groups  pages. Learn more about how to manage users and groups in Bridge. Located in the Admin menu, the Tools menu  lets you access the CSV Import Log  and any LTI tools that have been added to your account. Previous Topic:How do I use Bridge as a manager? Next Topic:How do I use Bridge as an account admin? Table of Contents > Getting Started > How do I use Bridge as an admin? How do I log in to Bridge? How do I set up an account in Bridge? What are the user roles in Bridge?